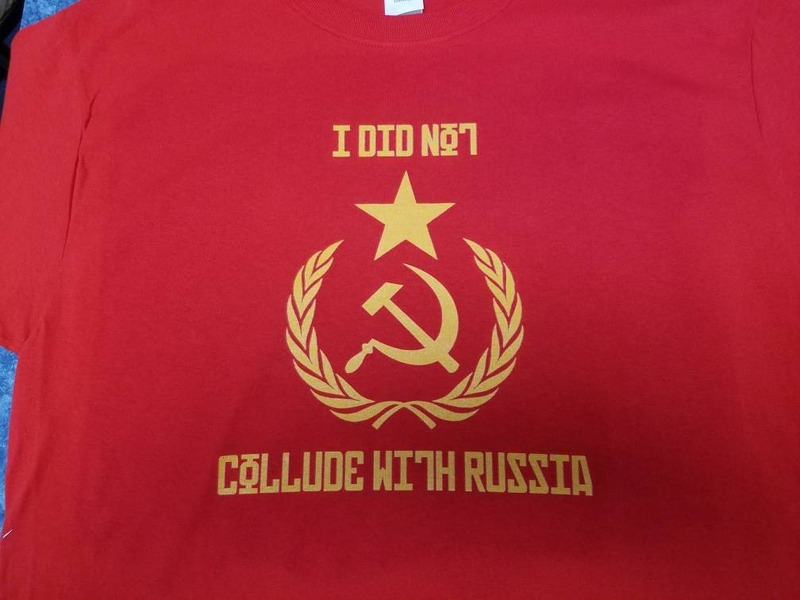 Are you guilty of Colluding with the Russians? State your innocence with our new tee poking fun at our government leaders passing the buck in Washington. Printed on 100% ringspun cotton tee shirts in the USA.